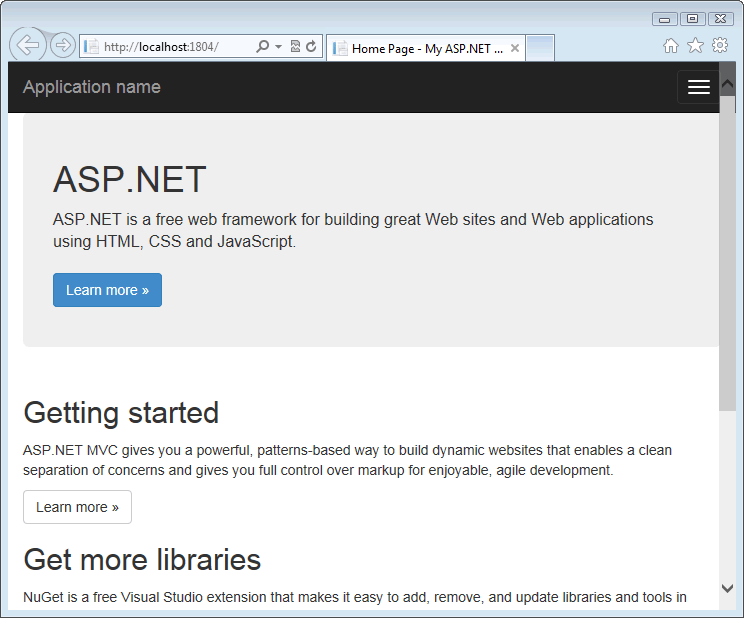 This tutorial is the first in a series of a Visual Basic versions of the Introduction to ASP.NET MVC 5 tutorials published on the www.asp.net site. The original series, produced by Scott Guthrie (twitter @scottgu ), Scott Hanselman (twitter: @shanselman ), and Rick Anderson ( @RickAndMSFT ) was written using the C# language. My versions keep as close to the originals as possible, changing only the coding language. The narrative text is largely unchanged from the original and is used with permission from Microsoft. 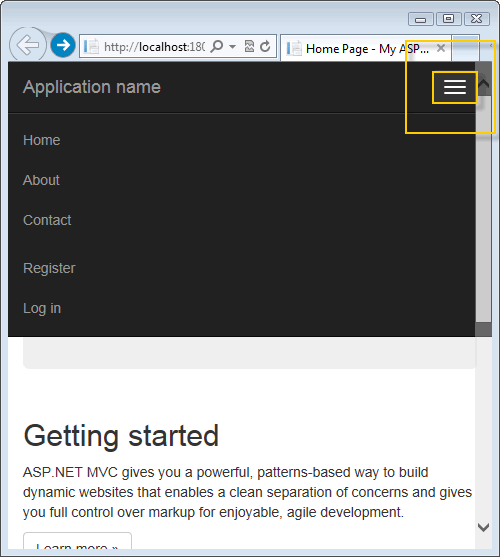 This tutorial series will teach you the basics of building an ASP.NET MVC 5 Web application using Visual Studio 2013 and Visual Basic. A Visual Studio Express For Web project with VB source code is available to accompany this series which you can download. 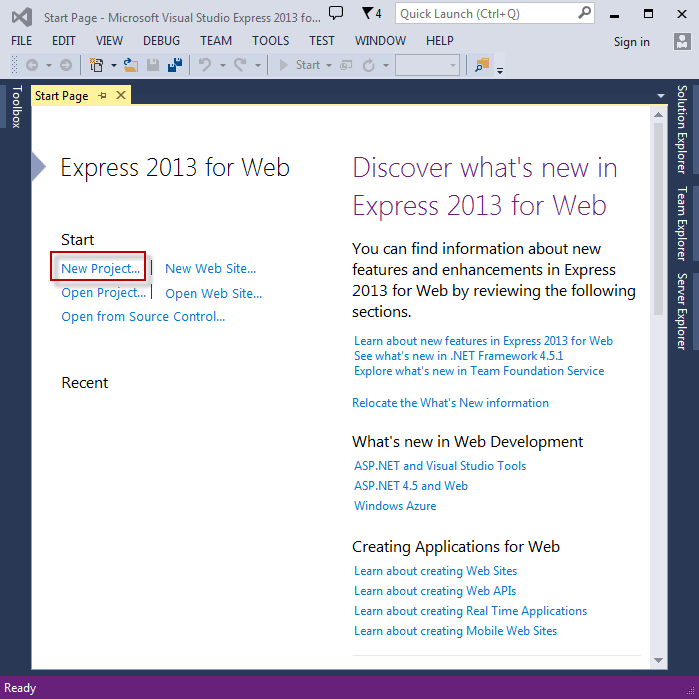 Start by installing and running Visual Studio Express 2013 for Web or Visual Studio 2013. 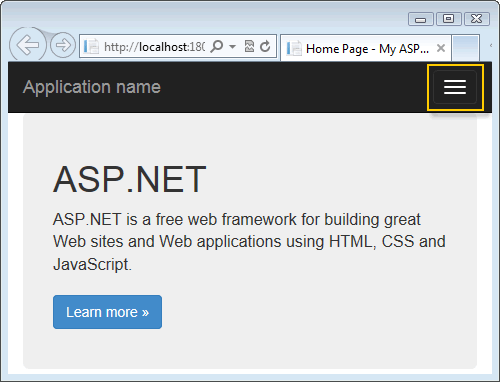 Click New Project, then select Visual Basic on the left, then Web and then select ASP.NET Web Application. Name your project "MvcMovie" and then click OK. 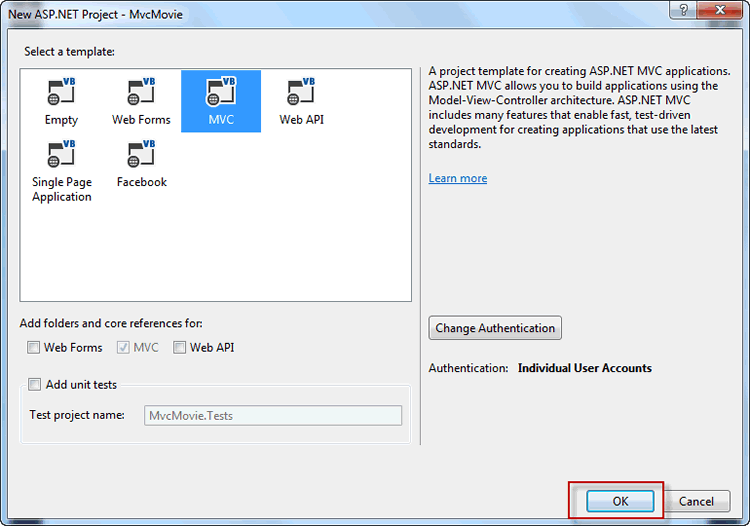 In the New ASP.NET Project dialog, click MVC and then click OK. 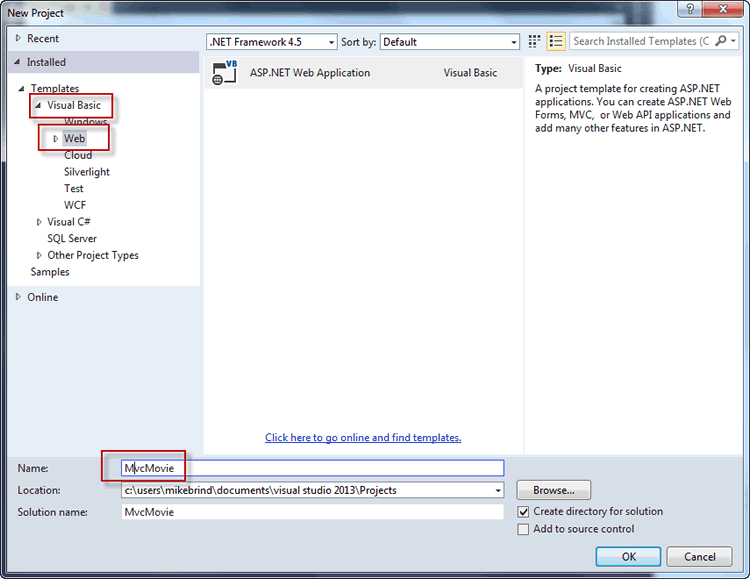 Visual Studio uses a default template for the ASP.NET MVC project you just created, so you have a working application right now without doing anything! This is a simple "Hello World!" project, and it's a good place to start your application. Click F5 to start debugging. 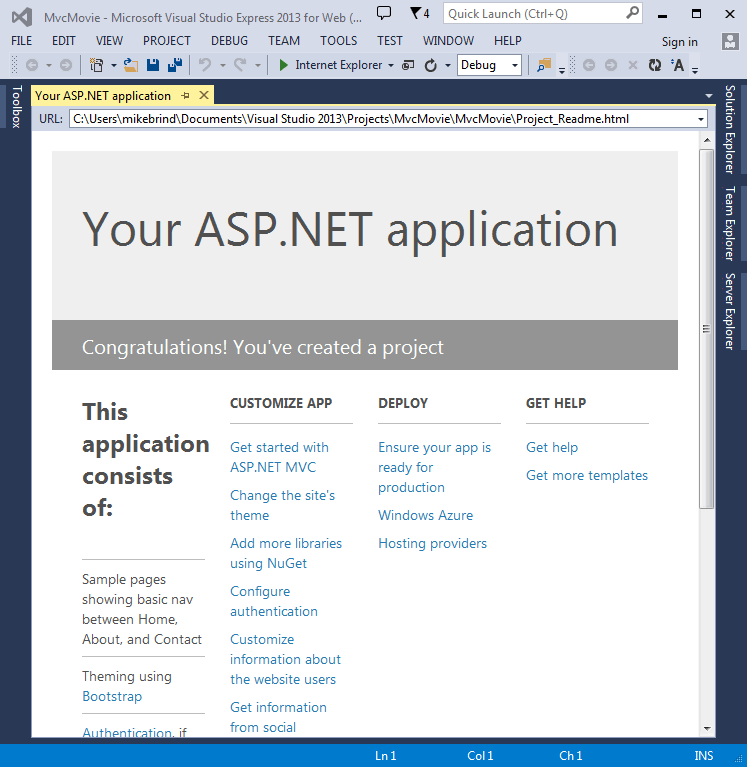 F5 causes Visual Studio to start IIS Express and run your web application. Visual Studio then launches a browser and opens the application's home page. Notice that the address bar of the browser says localhost:port# and not something like example.com. That's because localhost always points to your own local computer, which in this case is running the application you just built. When Visual Studio runs a web project, a random port is used for the web server. In the image below, the port number is 1804. When you run the application, you'll probably see a different port number. Right out of the box this default template gives you Home, Contact and About pages. The image above doesn't show the Home, About and Contact links. Depending on the size of your browser window, you might need to click the navigation icon to see these links.